Visiting Vineyard Haven and looking for a place to swim? Nice choice! Don't forget to tell us how did it go. 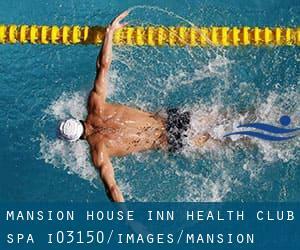 Introducing now Mansion House Inn - Health Club - Spa swimming pool, an awesome swimming pool sent by a swimmer like you couple of days ago. Have you visit this pool? Do you work here? Please, get in touch with us when you have knowledge that you consider is gonna be beneficial and bear in mind from now on it is possible to now promote each and every pool just by sharing this page with your buddies or adding comments in the Facebook boxes below. Come on and support this pool to be the first in Vineyard Haven! Among all the activities offered by the center, when you are thinking about swimming you can expect to take pleasure in 25 yards x 21 feet, 3 lanes (circle swimming), 3 feet - 9 feet depth, Non-Chlorine Sanitized, Indoors. If you must contact this Swimming Pool, e-mail address and phone number are both number. At the Mansion House Hotel, 2 blocks from the ferry that arrives in Vineyard Haven. Updated on 2019 219 Littleton Road , Westford , MA , USA (Postal Code: 01886). Among all of the activities supplied by the center, if you are enthusiastic about swimming you are going to take pleasure in 50 feet, Indoors. If you'll want to contact this Pool, email address and phone number are both number. Updated on 2019 457 Walnut Street , Newton , MA , USA (Postal Code: 02460). This sports center gives 25 yards, 6 lanes, Indoors. For this Swimming Pool, only phone number is number here. Updated on 2019 259 Lynnfield Street , Peabody , MA , USA (Postal Code: 01960). Swimmers like you reported 25 yards, 8 lanes, Indoors. Phone number and e-mail address are number for this Pool. Updated on 2019 16 Charter Road , Acton , MA , USA (Postal Code: 01720). Among all the activities supplied by the center, should you be interested in swimming you are going to take pleasure in 25 yards, 6 lanes, Indoors. Just in case you would like to make contact with this Swimming Pool before dropping by, we only know the phone number. Updated on 2019 1640 Cambridge St. , Mid Cambridge , Cambridge , MA , USA (Postal Code: 02138). Among all of the activities offered by the center, should you be interested in swimming you can delight in 25 yards, 6 lanes, Indoors. Just in case you desire to get in touch with this Swimming Pool before dropping by, we only know the phone number. Updated on 2019 35 Northampton St. , South End , Boston , MA , USA (Postal Code: 02118). This sports center offers 25 yards x 45 feet, 6 lanes, Indoors. Contact data for this Swimming Pool including phone number and email address are number. Updated on 2019 171 Pine St. , Holyoke , MA , USA (Postal Code: 01040). Few days ago a normal user of this center told us they offer 25 yards, 8 lanes, Indoors. Furthermore, they keep in good conditions 20 yards, 4 lanes, Indoors. Contact details for this Swimming Pool for example phone number and email address are number. Updated on 2019 40 Fairbank Rd. , Sudbury , MA , USA (Postal Code: 01776). Among all the activities supplied by the center, should you be interested in swimming you are going to take pleasure in 25 yards, 8 lanes, Indoors. If you will need to make contact with this Swimming Pool, email address and phone number are both number.